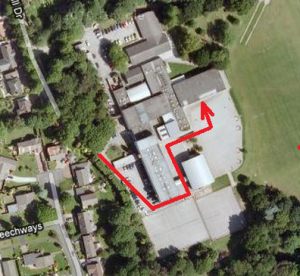 Continue to the top end of Hall Drive, and go straight on at the school entrance, into the enclosed school yard. Turn left at the end of the building, left again and through the walkway. Continue straight ahead and then turn right into the car park outside the sports hall. Powered by WordPress. Designed by Blog Design.